If Ottis Gibson is to be announced as the Proteas head coach, why haven’t we been told yet? It’s been a media scrap-fest over the past couple of weeks. The source of the river is unknown, but we’ve all been riding the waves, with rumour mills suggesting that Gibson’s announcement as Proteas head coach is imminent. It’s a bizarre situation. England coach Trevor Bayliss is preparing for life without his bowling coach. Darren Gough is set to replace him. The England Cricket Board are going to ask for compensation. Proteas skipper Faf du Plessis has asked Ben Stokes for his opinion on Gibson. Russell Domingo suspects his time is up. 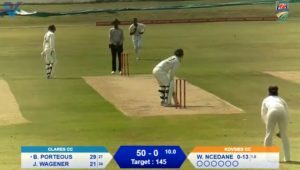 Where is Cricket South Africa in all of this? Why haven’t we heard any word from them on the matter, and what have they done to protect Domingo when he’s had to face the media knowing that he’s probably going to be removed as coach? It’s an insult to Domingo. Whether he deserves to still be there or not, it was insulting enough that he had to re-apply for the job. If CSA didn’t deem him good enough to have his contract renewed in January, then they should have given him the ultimatum. 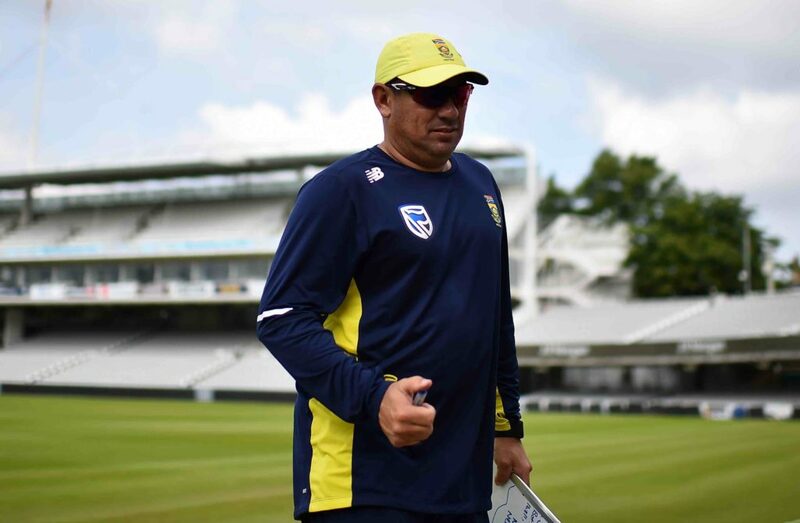 But now he’s been put through the processes, and the result is that he’s been left having to wait for the inevitable: he will not be the Proteas head coach. One can only presume that he already knows his fate. If he does, then he’s been forced to speak in code to the media to protect CSA’s decision – essentially thrown under the bus. If he doesn’t, then CSA is leaving him in the lurch, knowing full well the rumours that are going around. Either way, this is not an enviable position for Domingo to be in. Perhaps my sources are lacking, because a lot of journalists – especially the ones based in the UK and the ones who have been on tour with South Africa – seem to have access to information that allows them to write all of these stories on Gibson. The media back here have largely had to rely on their say-so. ‘We’ll hear the announcement of the new head coach by the end of the week’, is the latest sourceless piece of information being spread on numerous websites. It was thanks to Du Plessis – at Cape Town international airport on Thursday – that we know with certainty that Gibson was recommended by the panel to the board. Again, why isn’t CSA providing this information? Is Faf the new CSA spokesperson now? The waters have been muddied for some time now, not simply around the coach, but about AB de Villiers’ future too. De Villiers might be lambasted on a daily basis for picking and choosing, but to be fair to him, he’s received no protection from CSA throughout. He’s just been left to face the music at every press conference he attends. There’s not enough transparency from those who are essentially in charge of making the big decisions. What CSA doesn’t seem to understand, is that the less transparent it is, the more it aggravates the rumours and the media badgering. Gibson is going to be England’s bowling coach for the three-match Test series against West Indies starting on Thursday. If he’s going to be the next Proteas coach, then what’s the point in that? Our Test series against Bangladesh is less than six weeks away. Bring him in now, surely? The Windies series finishes on 11 September, which is 17 days before Faf and Co stride out on to Senwes Park. Is that enough time for the players to familiarise themselves with a new coach for the first time in four years?